SHORT SALE! MEMBERSHIP AND EQUITY REQUIRED. MINIMUM AMOUNT $55,000 DUE ON OR BEFORE CLOSING...THIS AMOUNT CAN NOT BE FINANCED. 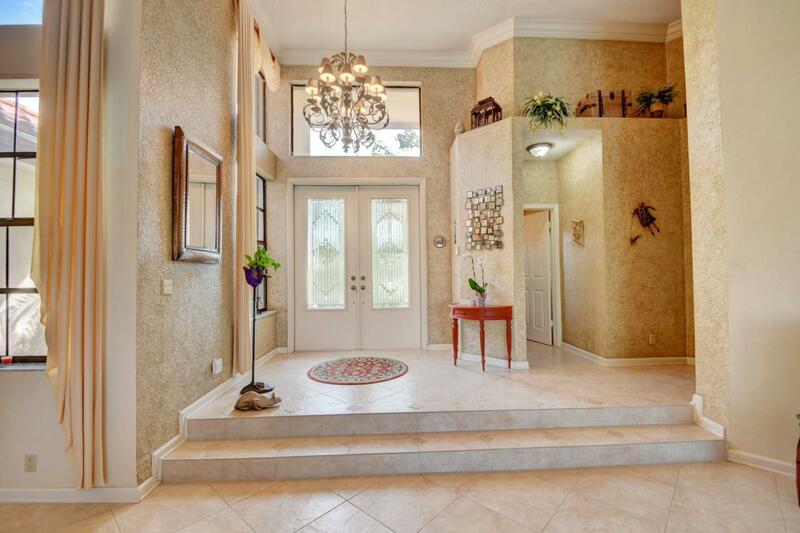 Truly unique paradise in Stonebridge Country Club. 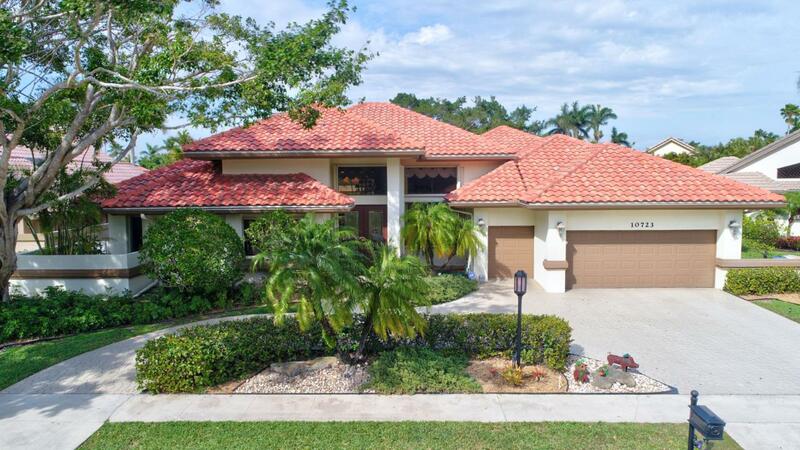 This updated waterfront home has 3 bedrooms, 3.1 baths, 2 bay garage and golf cart garage (complete with golf cart), decorative circular driveway, tropical mature landscaping, neutral tones, crown molding, volume/cathedral ceilings in main rooms and is light bright and very inviting. Updates include full storm protection (accordion shutters throughout), newer A/C 5 years old, roof (2005), newer hot water heater (1-year old), newer washer and dryer (1-year-old), pool motor 5-6 years old and central vacuum.Lovely neutral tile on the diagonal in main living areas and richly toned laminate flooring in all bedrooms. 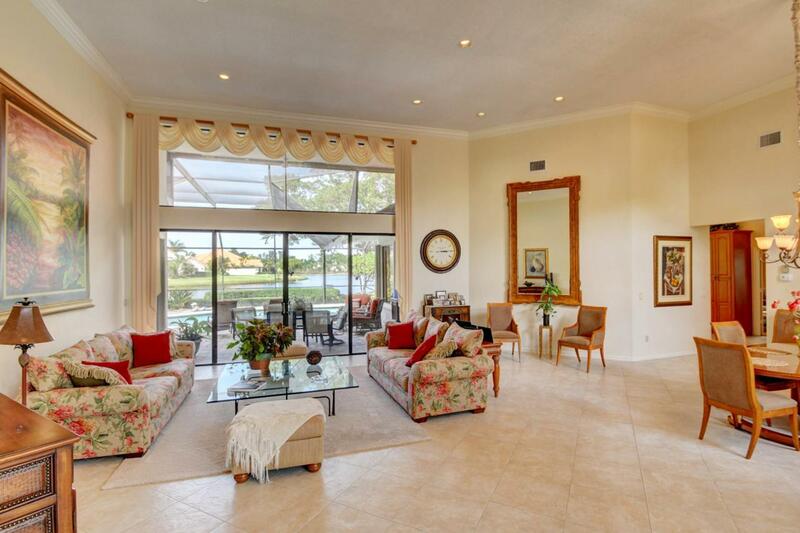 Upon entering the home, you have perfect, unobstructed views to the screened in pool and lake beyond. This home makes an immediate impact with step down into main living area, carefully curated finishes, and expansive windows. Kitchen is outfitted with SS appliances, medium warm wood cabinetry, granite countertops and backsplash, abundance of storage and convenient desk, large snack bar for family gatherings, 2 large frameless windows in breakfast area that let the outdoors in. The large bright family room off the kitchen is perfect for family gatherings and consists of 3 large sliders that lead to the Lanai and pool. Master suite has built in additional storage, French doors that open to pool, 2 large walk-in closets and a gorgeous updated master bath with neutral floor and wall tile, decorative lighting, large Roman tub with surrounding granite sitting area, and overlooks a tropically landscaped atrium. The den is equipped with a built-in desk surrounding a large window. The screened lanai has covered area, decorative pavers, large patio with pool, and tropical landscaping that make this home a true South Florida paradise! Some furniture negotiable outside sale of home. Club membership is mandatory, see documents for current fees. Stonebridge Country Club is a Bundled Community. All 398 Homeowners are full members of the club. Stonebridge golf represents the best the game has to offer, from immaculately groomed greens, to challenging fairways. 18 beautifully designed holes cut among a vast array of scenic preserve and residentially landscaped views. Stonebridge offers an active, well-organized tennis program on its five lighted har-tru tennis courts. Private and group instruction for all levels is available. Newly renovated 6,000 square foot Fitness Center offers state-of-the-art cardio exercise equipment, free weights & strength training devices. There is also a relaxing massage facility. Olympic size pool and so much more. 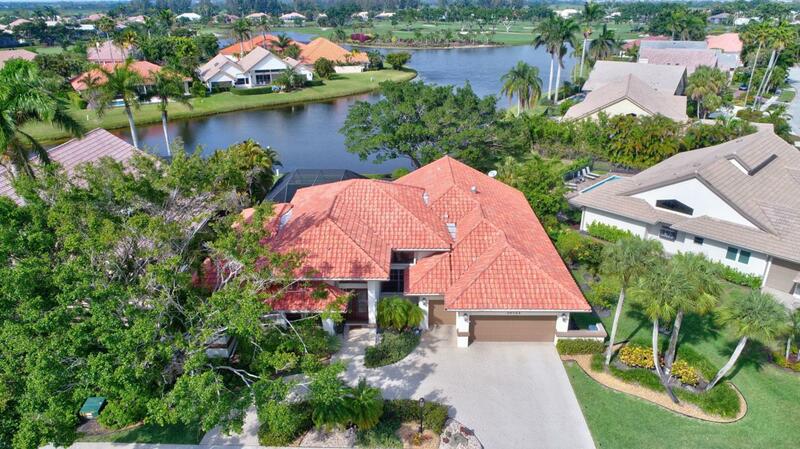 Stonebridge offers it all and does it with a style that's the envy of other South Florida Country Club communities and newly re-designed 18-hole golf course.